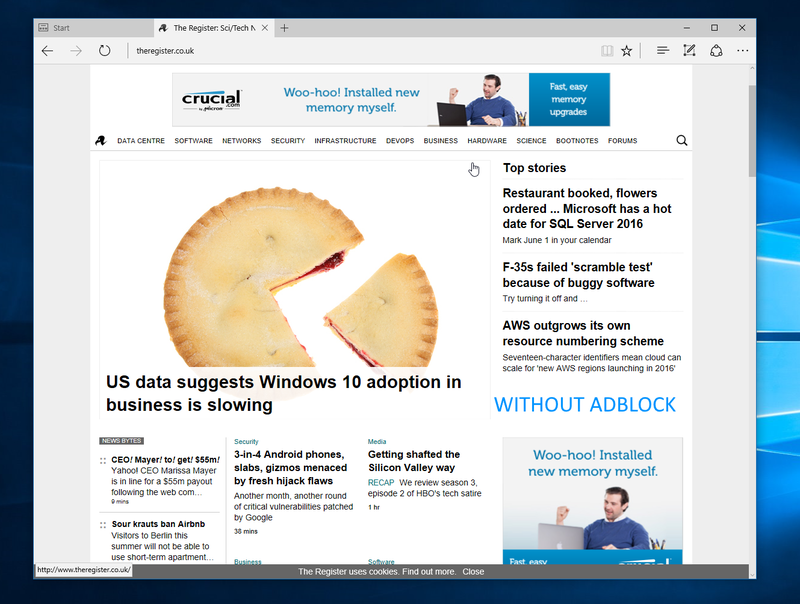 AdBlock is (kind of) here for Microsoft Edge. 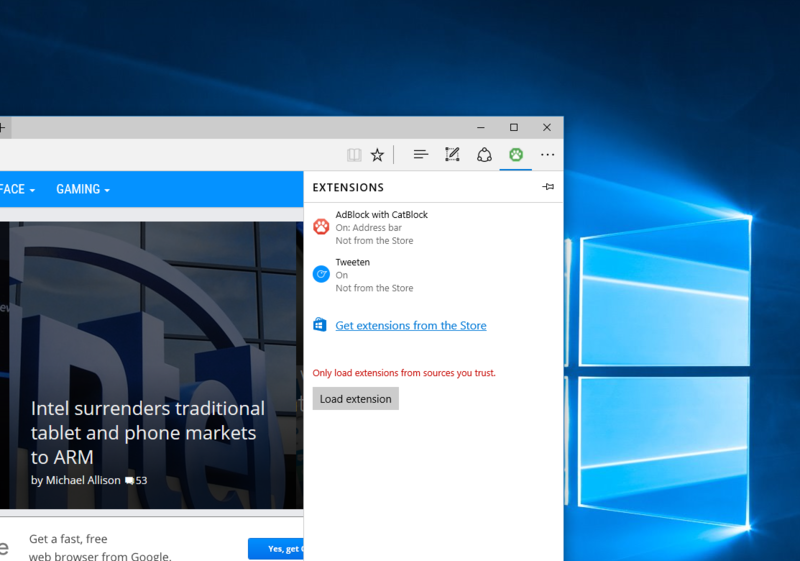 Meet CatBlock, a new extension for Microsoft Edge which allows users to hide advertisements on websites, making some websites load a lot faster. CatBlock is basically AdBlock, but with a different name and cats. With CatBlock, you can replace ads with cat pictures on websites. Yep. Just like AdBlock, you can add sites to a whitelist, block custom elements/ads, and whitelist specific YouTube channels, and more. Installing CatBlock can be slightly difficult as you will need to manually load it to Microsoft Edge. To install it,download the extension here, extract the folder, then open the “Setup” file. To get instructions on how to load it into Edge, just open the “Instructions” file for more info. 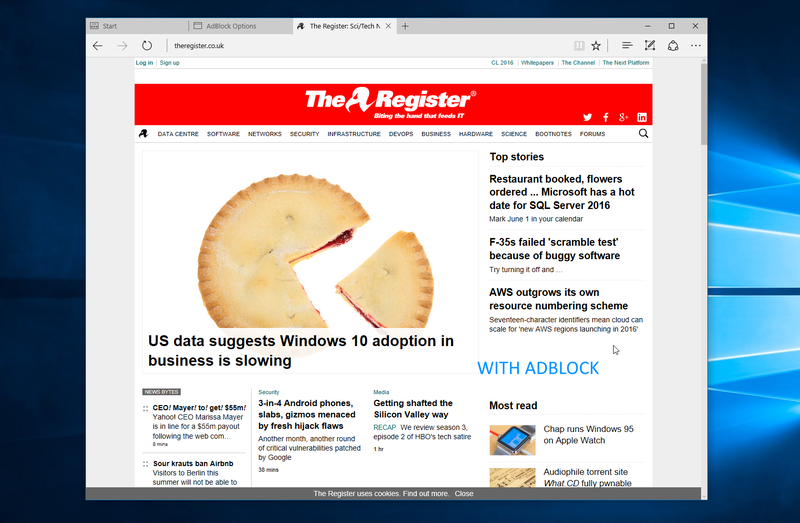 It is worth noting that CatBlock will only work if you are running Windows 10 Build 14291 or newer.Lastly, I’d like to note that we would really appreciate if you MSPoweruser to your AdBlock’s whitelist, and help us keep the site running. The ads you see on our site helps us to pay for the servers, and keep publishing more content. What do you think of CatBlock? Discuss in the comment section below.